In 2015 Midsomer Murders celebrated 18 years of top quality TV production as series 17 hit UK screens pushing the episode totals beyond the century mark. Quintessentially British, the series is a worldwide television phenomenon, adored from Australia to the United States by way of Croatia, India, South Korea and many more countries. 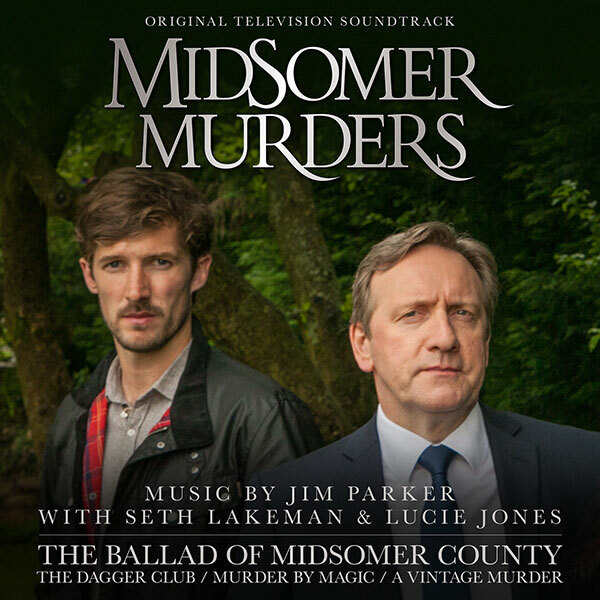 This release brings together the music from the latest series focusing especially on the episode The Ballad Of Midsomer County, a song featured throughout whose lyrics provide a wealth of clues for DCI Barnaby. Based around The Little Crosby Folk Festival and a varied collection of sweet-sounding and lilting songs the main theme features the talents of Lucie Jones and Seth Lakeman. Multi-instrumentalist and Mercury Music Prize nominee Seth Lakeman is one of the biggest stars on the UK folk scene with a string of UK Top 30 Album Chart entries. Lucie was an X-Factor star in 2009 and has gone on to act on stage and TV, appeared in a wide range of musicals and developed a modelling career alongside her own clothing lines. With a 40 year career composing for TV and four BAFTA Awards for Original TV Music Jim Parker is one of Britain most respected composers and his music for Midsomer captures perfectly the pastoral atmosphere of English village life.